These chocolate ricotta muffins are the perfect excuse to eat chocolate for breakfast. 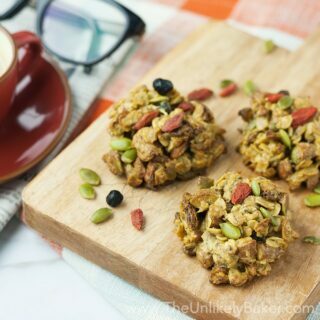 Packed with intense chocolate flavour, it’s an awesome way to start the day, a great midday pick-me-up snack, a fantastic reward at day’s end. It’s a wonderful all-day treat! Ah chocolate. Something we can universally agree on. If you follow my blog you’d know I’m on Team Lemon but still love a good chocolate recipe. And if you’ve ever baked with chocolate you’d know that very few things can beat the smell of chocolate goodies baking. Isn’t it wonderful? I just hate the clean-up (chocolate explosions, anyone?). I guess you can’t have everything! On Monday, I shared a bright and vibrant lemon ricotta muffins recipe and I promised all you chocolate lovers a chocolate version. And here they are! Bursting with chocolate chips and walnuts too. If you ever needed an excuse to eat chocolate for breakfast, this is it. I’m not saying you should. But you could. And who said we couldn’t anyway? We definitely should. Just one. Maybe two. With a perfect cup of coffee or tea. 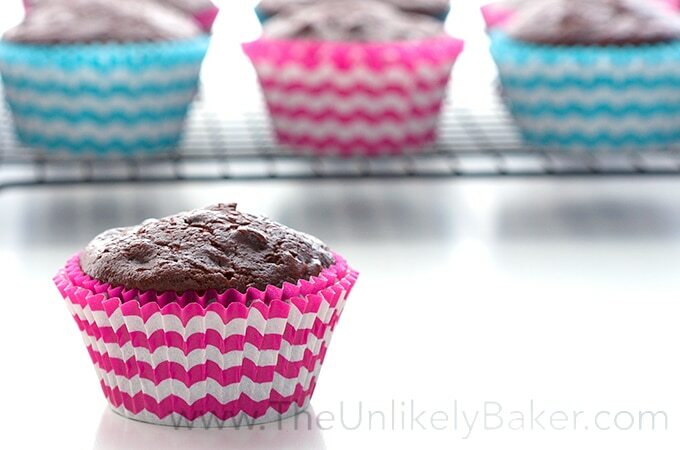 Because these chocolate muffins are amazing. I think ricotta cheese makes all the difference TBH. I am becoming such a huge fan of ricotta cheese in baking. It has a very distinct yet subtle taste that makes it perfect to pair with a whole slew of ingredients. And it does wonders for the texture too. More ricotta recipes are coming but for now let’s focus on these rich and decadent chocolate ricotta muffins. That you can eat for breakfast. Or not. But you should definitely bake some. That way you can grab one anytime of the day you like. 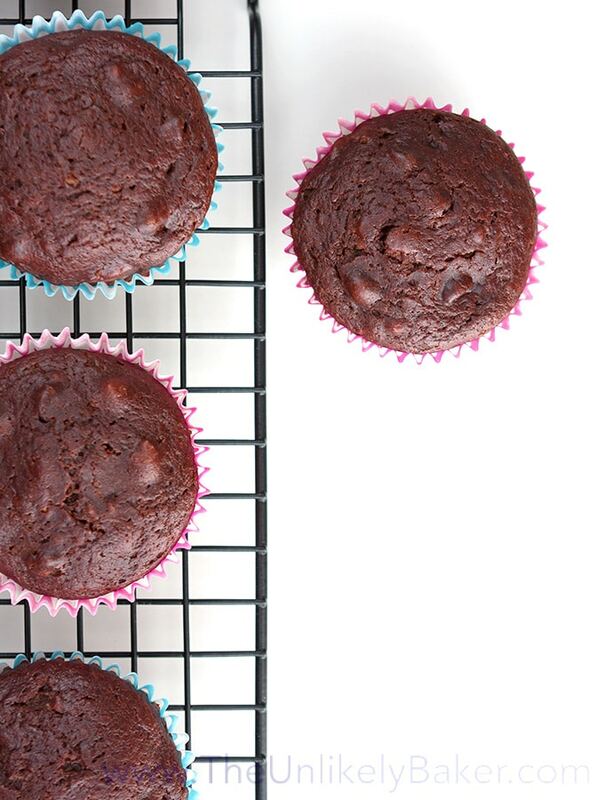 These chocolate ricotta muffins are the perfect excuse to eat chocolate for breakfast. Packed with intense chocolate flavour, it’s an awesome way to start the day. Preheat oven to 350F. Prep 2 muffin pans by lining the cups with paper liners (this recipe yields 14-16 muffins so you would need 2 standard muffin pans). In a medium bowl, whisk 1 cup ricotta cheese then add the eggs one a time and beat until each one is well combined. Stir in 1 1/3 cups milk, 1 tablespoon vanilla extract and 1/2 cup melted butter until fully incorporated. Set aside. In a large bowl, whisk 2 cups flour, 1 1/4 cups sugar, 2 teaspoons baking powder, 1/2 teaspoon salt and 2/3 cup cocoa powder. Add your ricotta mixture and stir until just blended. Finally, fold in 1 cup chocolate chips and 1 cup walnuts. Be careful not to over mix the batter. Transfer and evenly divide your batter into your muffin cups, putting about 3 tablespoons into each one (the cups will be almost full). Bake for 20 minutes or until a toothpick inserted in the centre comes out with minimal crumbs. Cool in the pan for 5 minutes then transfer to a wire rack to cool completely. 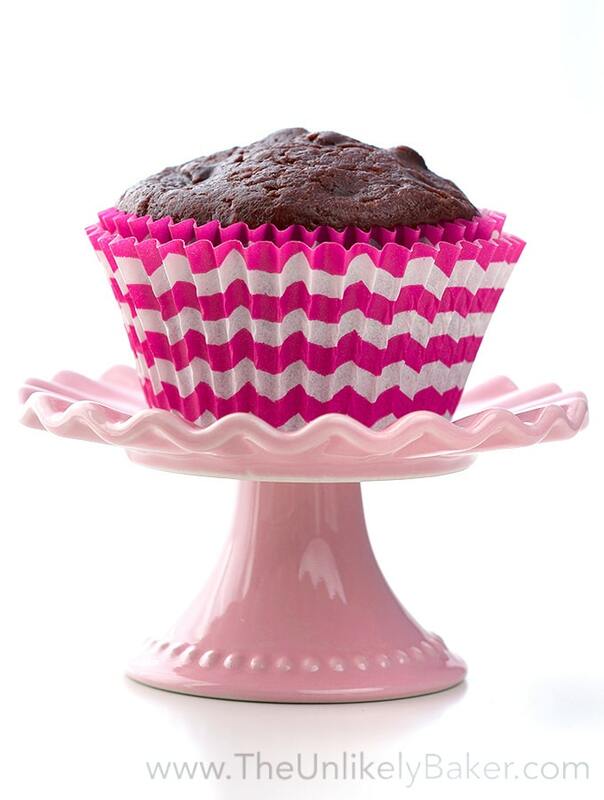 Did you make chocolate ricotta muffins? Tell me about it in the comments section below. I’d love to hear all about it. What’s your favourite chocolate breakfast treat? These looks so good! I wish I could eat it if I wasn’t allergic to chocolate!! Oh that’s too bad 🙁 Thanks for your kind comments Ivelisse! Hope you find another recipe on the blog you’re not allergic to. You can add chocolate to ricotta?! This just blew my mind. Growing up in an Italian home, it was only used for pasta, to eat right off of a spoon or in Italian cheesecake. Hi Mary! Absolutely. You know what’s weird, I haven’t tried eating ricotta plain…just always baked with it. 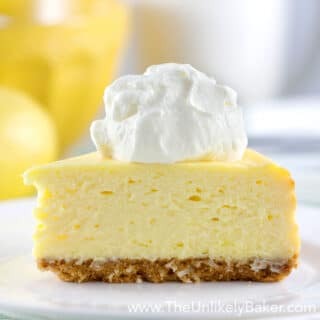 Now using it in a cheesecake sounds divine! Have a lovely weekend! Oh, my word! These look delicious! I never thought of working with chocolate and ricotta together, but this sounds great! Thank you! They are great together, hope you try them soon. 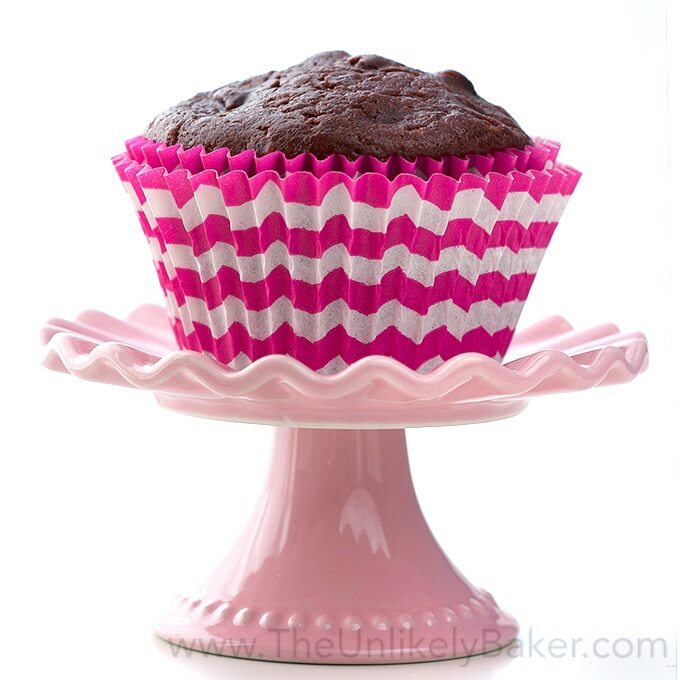 I love those cupcake liners! Is that what you call them? Lol. I’m not much of a baker, you make it sound so easy! These look delicious by the way. Liners, cups, moulds….they’re all the same 🙂 It is easy Megan! Hope you try it, would love to hear how it goes. This sounds so good, I can almost taste it. 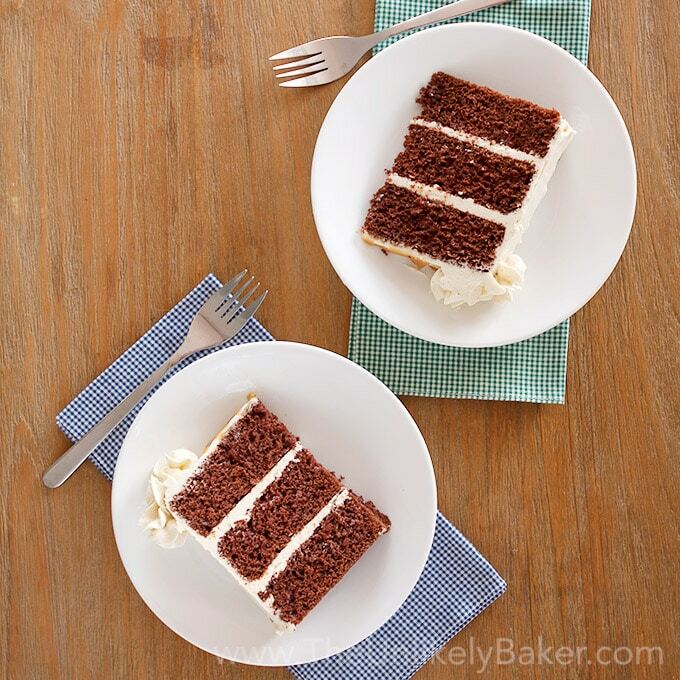 I love the combo of ricotta cheese and chocolate as it reminds me of chocolate cheese cake. I make chocolate muffins all the time but never thought of putting ricotta in them. These look so delicious, will have to give it a try. Omg!!! I need to try this out!! That looks like an amazing inspiration for fall/autumn season!!! These sound yummy and the ricotta cheese must make them so moist. 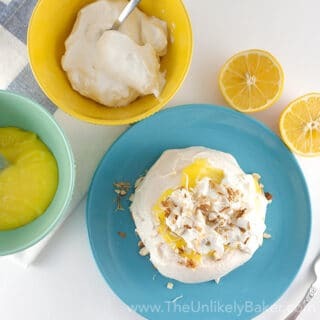 I want to make this right now. Looks and sounds so darn good! 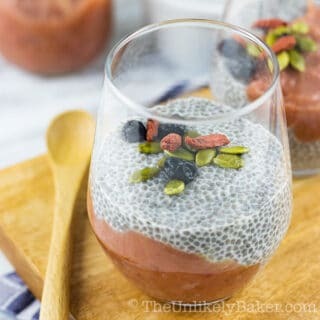 It looks so yum! Thanks for sharing the recipe! Can’t wait to try it! Ha, team lemon. I love it! I’m with you. I definitely love chocolate, but other desserts flavors are equally delectable. These look amazing! LOL! So you’re in? 🙂 Thanks Kate! Have a wonderful weekend! I’m not going to lie, I’m a bit concerned about the use of cheese in muffins! But I’m going to pin this, anyway. Once in a while I like to cook or bake something that’s outside my comfort zone. Maybe it’ll be these bad boys next time! Ricotta makes baked goods soft and tender and just all around better 🙂 Hope you give it a shot soon Desteny! What a great idea to bake with ricotta! Sounds so tasty. And how cute is your little mini pink cake stand???! Love it! Thanks Julie! Love ricotta in baked goods 🙂 And the mini cake stand I got on sale too! These ricotta muffins look delicious and I do love chocolate. Now which is better the lemon or the choc? OMG Ana that’s the hardest question EVER hahaha! Though you know I’d say the lemon…but the chocolate is pretty awesome too! I love anything with Chocolate! I wouldn’t have thought to put chocolate and ricotta together! 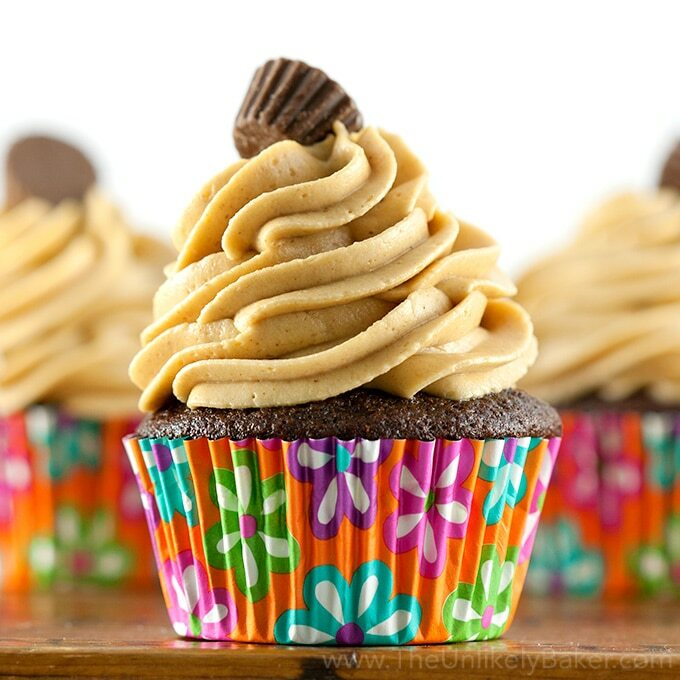 These look divine though! I really wish I could make them. Thanks Carrie! Ricotta is like a magic ingredient 🙂 Hope you can try it soon! 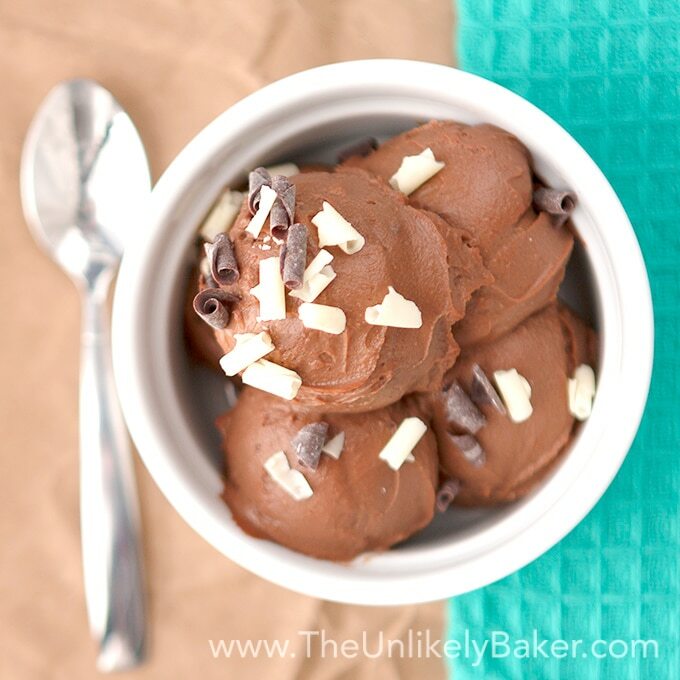 Ricotta cheese and chocolate sound so great together! I will have to try this! These sounds really great. Im not a huge chocolate person but I may try them. But I am obsessed with your serving pieces. So cute! 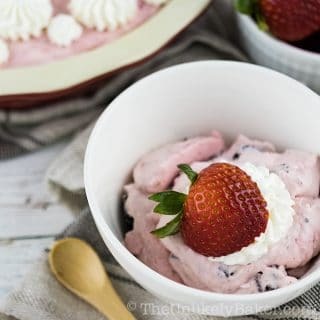 Would not have thought of using ricotta, but looks very delicious! Perfect! I was just looking for muffins recipes! 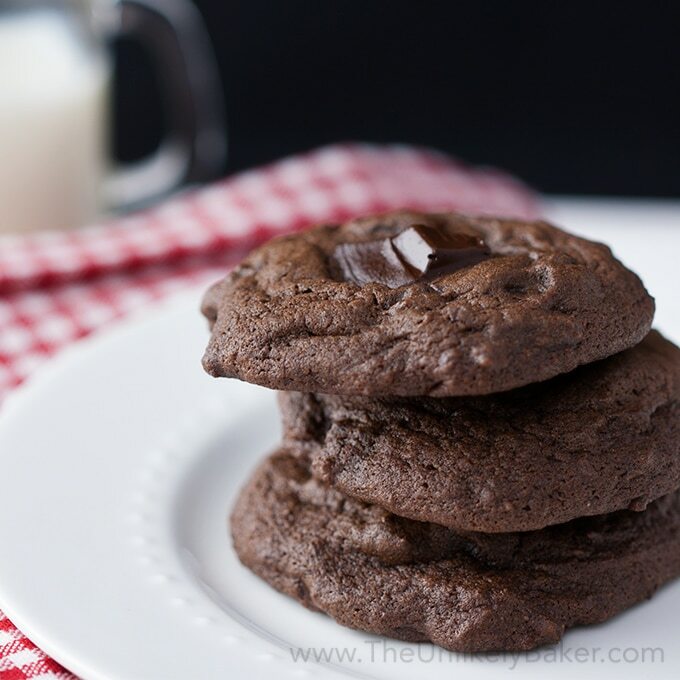 I think I can make these with glutenfree flour. They look so pretty! Perfect! It’s a great weekend bake project 🙂 Thanks Tiina! I’m all about chocolate for breakfast! You’re my kind of person Christine! 🙂 Have a great weekend! Chocolate for breakfast? But of course! 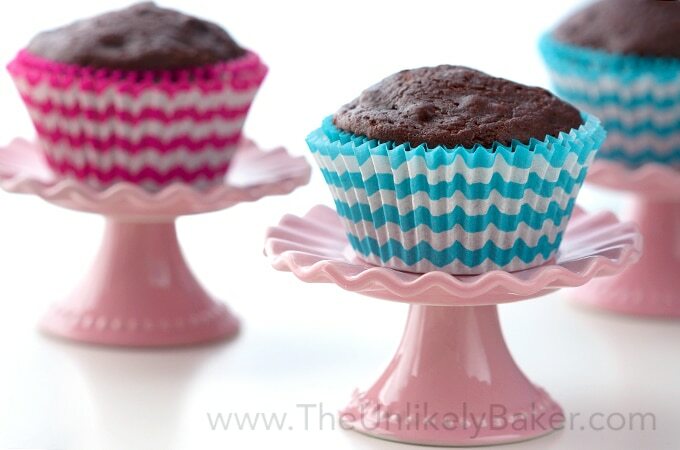 These Chocolate Ricotta Muffins look lovely. I will be making them soon. Thanks Katie! Hope you like them. And yes for chocolate for breakfast! Those sound amazing, I bet the ricotta adds an extra creaminess that make them melt in your mouth. 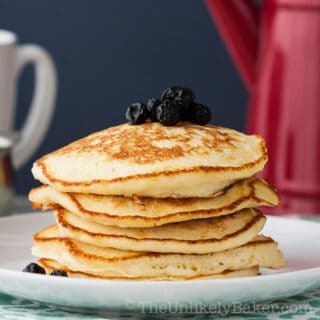 I am going to have to try these for a road trip breakfast! I can’t start a day without coffee so these chocolate muffins would be a perfect match in the morning. Have to try this. Yes they will be! Great start to the day 🙂 Thanks Jessica! Thanks Nicolas! I do spend way too much time on Pinterest too lol! Interesting type of cupcake. Never would I imagine to put Ricotta in the recipe. Does it taste any different? Hi Tara! Ricotta has a very subtle taste so it’s not the overwhelming flavour; what it does is make the texture so soft and tender. Hope you try it! You had me at chocolate! I’m already loving this muffin! If you say it’s ok to eat chocolate for breakfast, I’ll believe ya 😉 Twist my arm, lol!! Like you, I’m a big fan of lemon, but chocolate does have its place and these look scrumptious! I’ll have one for breakfast and one later for a snack, ok 😉 ? Have a great weekend, Jolina! Hahaha 🙂 Good for an after dinner snack too eh?? (We eat so much of these muffins at home throughout the day we’re like hobbits lol). Have a great weekend too Dawn! You have got to stop tormenting me with these fabulous muffins! I have been ill with flu for days and have been craving muffins but lacking the energy to do something about it. Oh my word, these look delicious. Sorry you’ve been ill Tania! Hope you feel better. If I could send these muffins over to you I would! !